Grow it from seedlings or sow outside. Several plants can germinate from one seed. It grows above only 5 °C (41 °F), however, optimum temperatures for its development are around 18 °C (64 °F). At least 40 cm (15 in) between rows and at least 40 cm (15 in) between plants. Outside in May, seedlings in March or April. It germinates for about two weeks. In the second field. Fertilize with home compost (2 l per m2 / 0.5 gal per 10 ft2). In summer, water with comfrey/nettle/algae brew. If it doesn’t have enough moisture, it blooms quickly. Soak deeply and don’t water over the leaves. Broccoli, Brussels sprout, cauliflower, black radish, chives, beans, peas, cabbage, Chinese cabbage, Savoy cabbage, kohlrabi, carrots, radish, lettuce, tagetes, calendula, Indian cress. Prevent diseases with enough distance between rows, fertilizations with algae and soft soil. Use organic mulch in summer heat. By keeping ladybugs in the garden you get rid of lice that occasionally appear on this plant without insecticides. If sugar beet leaf spot disease appears, cut the leaves off and spray the plant with chamomile tea. In summer, cut the leaves off regularly and keep the inner ones. Don’t store in the fridge. To freeze, blanch it and cool quickly in cool water. Leaves and thick leaf veins; prepare like spinach. It contains many vitamins and minerals, and unlike spinach it doesn’t store nitrates. It cannot be planted often in the same place. It needs the proper amount of potassium in soil. It likes tilling and keeping the soil soft. It doesn’t like excess water in soil. It lasts throughout winter easily and can be left outside. Its leaves are useful for mulching and composting. It is good for small gardens as well; four plants are sufficient for a family of three. 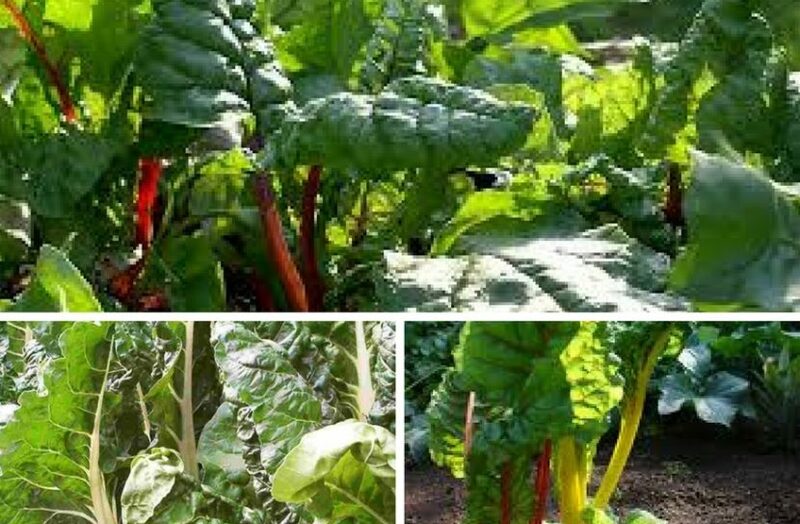 Botanically, it is not related to spinach, but beetroot.